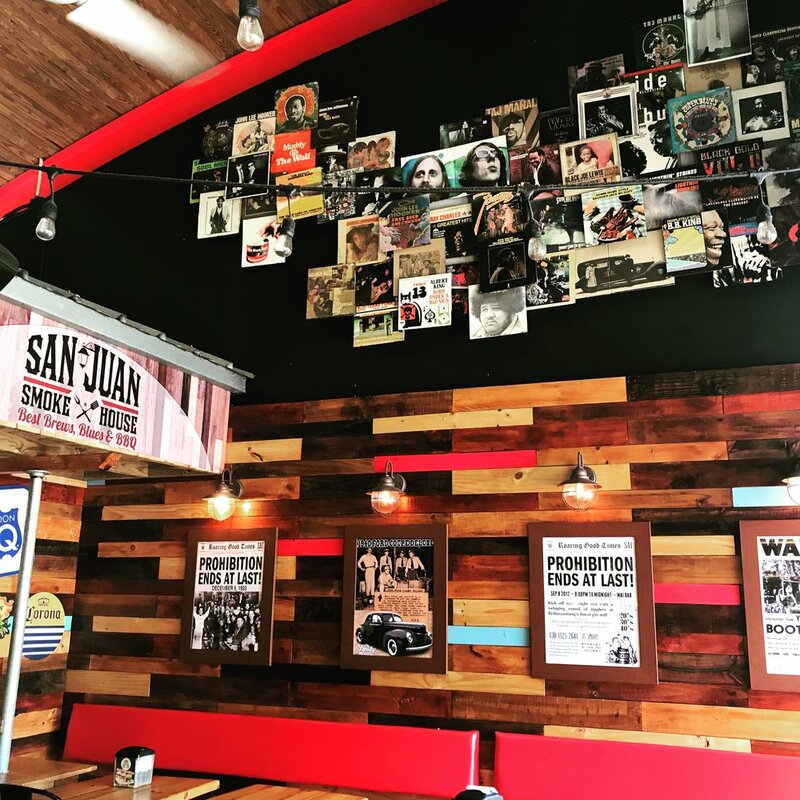 If you want the best BBQ restaurant in Puerto Rico, come on down to San Juan Smokehouse. In front of the Historic 100 Year Old Santurce Farmer's Market, at San Juan Smokehouse, we make it our top priority to make you feel at home. Ask around! 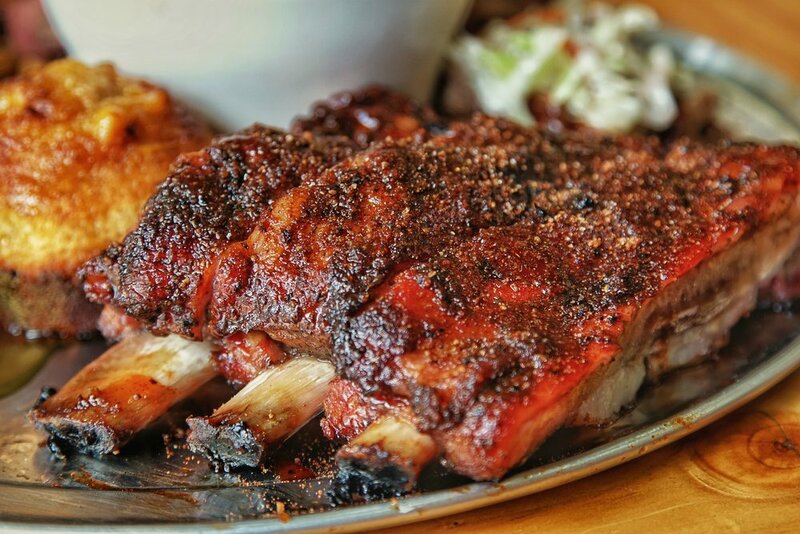 We are known for our humble hospitality, cold brews and our BBQ ribs! 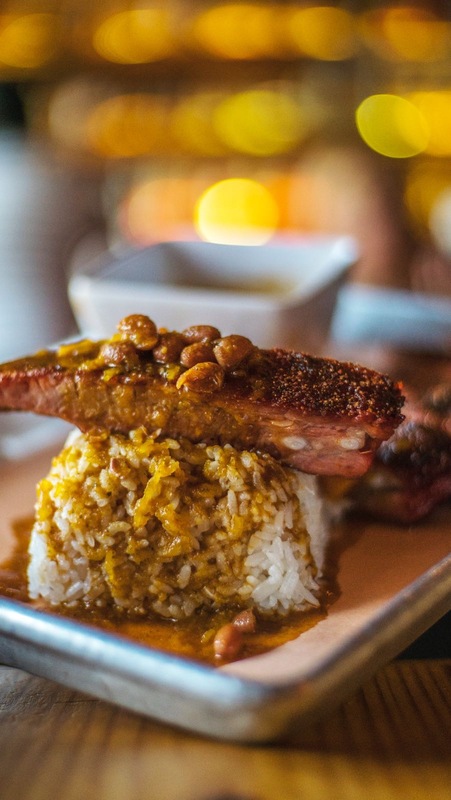 Recreating southern taste with a Puerto Rican twist, our Memphis-style dry rubbed ribs will make you glad you chose our Smokehouse among other restaurants in Puerto Rico. These delicious ribs have a very dark bark, smoked on our flaming grills to give it that excellent smoked barbecue taste, impossible to resist for any meat lover. We are a family owned restaurant, so make yourselves at home. Choose from our great selection of classic southern food favorites, and enjoy occasional live musical performances while you eat. Making your Dreams come True by serving up Southern Favorites with a Local Puerto Rican Twist. "ARE YOU KIDDING ME!!! ?...You know you are in for an authentic extravaganza as soon as you roll around the corner to this place"
"Authentic BBQ South of Memphis. The Dry Rub Ribs are better than home"
"Lively, friendly, fun, professional, and un-touristy"
"Mojitos are Bueno! Brisket Stuffed Avocado is to die for! I like this place!" "This was a non fancy, very delicious, local experience." "Great place for lunch in Santurce. Blues music and excellent barbecue. Full bar. Great service." "Awesome place with a great vibe"
"Excellent. One of the best Brisket I've had. Great location right in the placita of Santuce, after eating you can go bar hoping. If not try their cocktails with fresh fruits." "Great food and service even better!!!" Carne de Meatloaf Ahumada, Queso y Repollo. Homemade. Choose Red Sangria or White Passion Fruit Sangria.